Although nation-wide assessments on the grassland soil carbon storage have been conducted in Japan, the uncertainty of the estimation accuracy remains with its local variability. In the present study, using geostatistical approach, we assessed the spatial variability and distribution pattern of organic carbon (OC) and estimated its total stock in the surface soils (0–5 cm) over Mt. Wakakusa grassland (30.2 ha) of Central Japan. The exploratory statistics indicated that the surface soils had 1.88 ± 0.28 kg C m−2 of soil OC density on average (n = 147) with a moderate variability (CV = 18.8%), while the geostatistical analysis unveiled that its semivariogram was well fitted by a spherical model (R2 = 0.93, RSS = 1.15E−05) and had a strong spatial dependency (nugget–sill ratio = 0.31). Based on these results, we constructed an interpolated map and estimated total OC stock to 552 Mg C in the surface soil of Mt. Wakakusa grassland. The present study was carried out on the authority of the Agency for Cultural Affairs and the Nara Prefecture, and was made possible by the financial support from the Japan Society for the Promotion of Science (Kakenhi no. 16K18669). 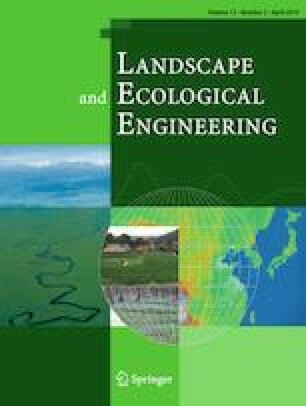 The authors would like to extend their gratitude to the Nara Park Management Office and the colleges at the Laboratory of Ecological Engineering, Kindai University for the assistance during the field survey. Khairun N. Kamarudin enjoyed the scholarship from the Ministry of Education, Culture, Sports, Science and Technology of Japan.